Home > Bento courses 2013 > Bento 101 (Getting Into the Bento Making Habit): Part 1: What can I eat? Welcome to the first lesson of Bento 101: Getting Into The Bento Making Habit! As the course name implies, and as I outlined previously , this course is all about incorporating the bento making habit into your daily routine. A note for latecomers: The ‘live’ version of the course has now concluded. But don’t dismay - you can follow along with it at your own pace, and I’m always happy to answer your questions; just post them in the comments for the corresponding lesson. Start at this page , and follow the posts in sequence. You may want to bookmark this site or subscribe to the news feed  of course! You may also want to follow the Facebook page . You can also post your comments and results there instead of on this site if you prefer. You can follow JustBento on Twitter . This is where I post all updates to JustBento as well as JustHungry . In cases where there’s a technical problem with this site like the ones we experienced yesterday, Twitter and the Facebook page are where to get updates. Last but not least, if you’re on Flickr you may want to join the JustBento Flickr group . We’ll be using the group for consolidating photos and such for future assignments, but I highly recommend going through the photos that people post there right now for lots of inspiration. You’ll see all kinds of bentos there, from all types of cuisines, from highly experienced bentoists to people just starting out. If you have purchased the Just Bento Cookbook , first of all- thank you so much! ^_^ Second, you can think of this course as a preparation course for diving into the book. It’s been more than 5 years since I started JustBento. In the past few years the term ‘bento’ has become a lot more popular than it used to be. But there is still a lot of confusion out there about what bentos are supposed to be. As I wrote way back in October 2007 , in Japan there are several types of meals that are called bento. The one thing they have in common is that they are meals packed into a box type container. Beyond that there are quite a lot of differences, but I think you can divide most bentos into two categories: practical everyday bentos, and special occasion/decorative bentos. You can think of these as multi-course meals that just happen to be presented at once in a decorative box. They are not very portable and are made to be eaten immediately in most cases. …a humble yet tasty bento that still looks colorful and appetizing, is reasonably healthy and is quick and easy to assemble. Tasty. That’s a given! Why waste life by eating stuff that you don’t like? Reasonably healthy and nutritionally balanced. We can indulge ourself with junk food and sweets now and then, but lunch is the fuel for the rest of your day, so it should be pretty healthy and balanced. And if you have any food sensitivities or allergies, or must avoid certain foods due to health concerns, there’s no better way to keep control of what you eat than to pack it yourself. Look neat and appetizing. One of the fundamental principles of bentos, not to mention Japanese cooking in general, is that how food looks is almost as important as how it tastes. Sure you can just toss last night’s leftovers into any old plastic container, and it will probably still taste good. But it’s even better when your lunch looks like a proper meal rather than just sloppy leftovers. Be quick and easy to prepare. We’re all busy with work or school or bringing up kids and taking care of our families. We can’t be spending hours laboring over meal prep on a daily basis. Inexpensive. You save tons of money just by making homecooked meals from fresh ingredients over eating in restaurants or grabbing readymade stuff, but let’s push it a bit further and really save pennies while not compromising on quality. My 10 bento rules  add a few more things, but the 5 above are the most important in my opinion. It doesn’t have to be Japanese! I’m guessing that most of the people following this course are not Japanese, and didn’t grow up eating Japanese food. 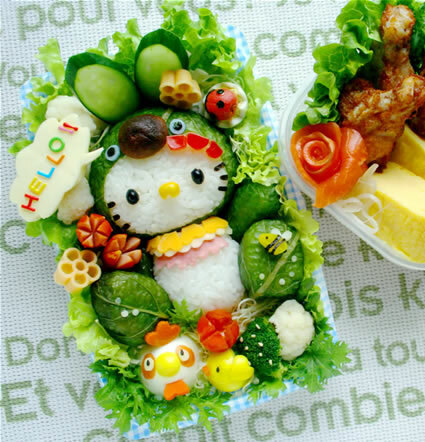 The concept of a bento is Japanese of course, and many Japanese foods are suited to bentos. 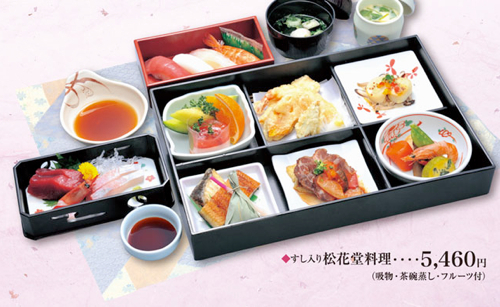 But as the mix of bento styles listed on this site  demonstrate, bentos don’t have to only contain Japanese food. (I also purposefully divided the bentos in my book into 2 sections, “Japanese bentos” containing mostly traditional Japanese foods, and “Not-so-Japanese bentos” with foods from many other cuisines.) Even the bentos that regular Japanese people living in Japan pack for their lunches don’t all contain Japanese food all the time. Trying to get into the habit of making banto lunches on a regular basis while learning new recipes using unfamiliar ingredients can be a lot of work. You don’t even have to learn a single Japanese recipe to make tasty bento lunches, as long as you follow the 5 basic rules above - and you get to reap all the benefits of the bento habit anyway! Chances are that you’ll be far more likely to want to pack a lunch full of foods that you know you like rather than something new. And when it comes to packing lunch for your loved ones, especially kids, they’re even more likely to prefer eating foods that they’re familiar with. Finally, there’s a group of foods that need to either be kept hot or must be heated up - things like soups and stews. 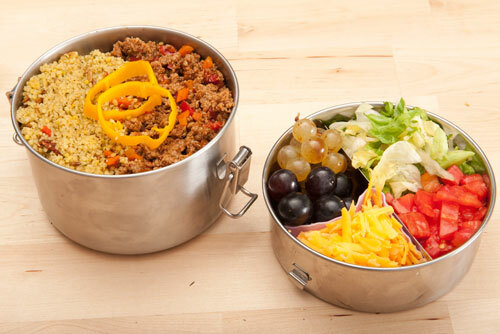 To use these for your bento lunch you either need access to a microwave or specialized, insulated containers that are usually called lunch jars. (See Looking at thermal bento sets and lunch jars .) A bonus is that a lot of soups and stews taste better if they’ve been sitting for a while. That’s quite a lot of foods you can bring for lunch — far more than a simple sandwich! There are some foods that you should think seriously about not packing in a bento you intend to eat hours after packing it. These include things like raw and undercooked proteins, as well as very moist and perishable foods. Raw fish sushi is not a good idea unless you’ll be eating it within an hour. (And no, dousing it with wasabi will not kill all the nasty microbes.) Uncooked, moist tofu is also very perishable. See also Keeping Your Bento Lunch Safe  for more, including tips about extra precautions to take in hot weather. Assignment no. 1: So what do you want to eat for lunch? This leads us to your first assignment. Make a list of all the foods that you like to eat and that are part of your everyday meals, that you think will be great to pack for lunch. The form is divided into columns by food type - proteins, carbs, vegetables and fruits/treats. (I’ve put fruits and treats in the same column sort of to sneakily encourage you to think of packing fruits as treats, although of course the occasional cookie is all good.) There’s also a column called ‘combo foods’. This is to list things that are a mix of foods, such as a chicken with pasta (protein and carb), or a bean salad (protein, carb and veg). Try to list at least 3-4 foods for each category, that fit the guidelines for bento-safe foods listed above. Mark the items that need cooling with a C for Cool, and the ones that need to be kept hot or to be reheated with an H for Hot. 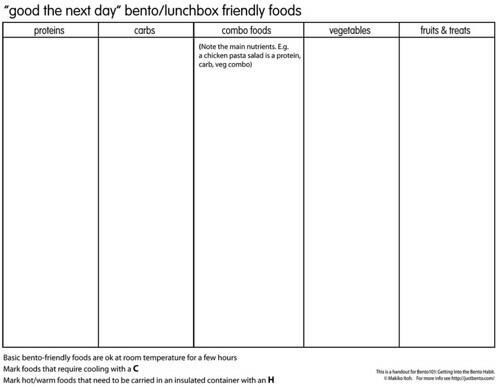 This helps you to determine what kind of bento box or lunch container is most useful for you - if you find you’re listing a lot of H foods, then you probably want to get a thermal lunch jar, and so on. For now, don’t go through this site or the book (or other bento sites) to pick up ‘bento-friendly foods’ for your list, unless you’ve already made them several times and they’re part of your regular repertoire. Also, try not to list any sandwiches. Sandwiches are a great portable lunch of course, but we’re trying to think beyond the sandwich with this exercise, so bear with me. One more thing: don’t get too hung up on listing compact foods that you think would fit into a typical bento box. The idea is to make the bento box or container fit your food, not your other way around! 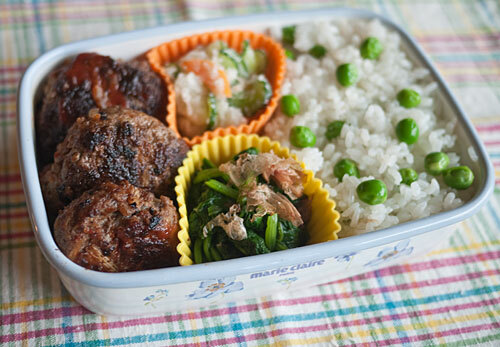 We’ll be talking about bento boxes and containers that fit your lunch style in future lessons. For this assignment you don’t need to take any photos. The list you make is just for you, but if you want to share what you put on there, especially some unusual takes, please post them in the comments or on the Facebook page . There’s no firm deadline, but to follow along with the course I would recommend that you make your list sometime this week. I will be uploading another lesson later this week, so stay tuned! I’ve seen some discussion in the comments and elsewhere about whether the bento-friendly foods form posted with the first lesson  can be used by vegans or vegetarians. I’m not a vegetarian myself, but I eat like one about 70% of the time, and I certainly think that the form is usable for listing up foods that don’t contain the obvious proteins like meat, eggs and seafood. Soy beans are a lot richer in protein than other beans, so I’d put soy beans and soybean products such as tofu in the Protein column. Tempeh and natto are made from soy beans. The same goes for vegetable protein products that are sold as meat substitutes, such as Quorn, TVP, and so on. Wheat gluten based protein products like seitan and fu would also go in the protein column. Nuts (e.g. almond, cashew, peanut) and seeds (e.g. sesame seeds) and their ground up or ‘butter’ forms (tahini is ground up sesame, and there’s always peanut butter) are made up of protein, fat and fiber basically. I’d count them as proteins, keeping in mind that they are high in fat and should be eaten in moderation if you’re watching your weight. Most other beans are a combination of proteins and carbs (and are often eaten in conjunction with carbs) so I’d put them as foods spanning the Protein and Carb columns. With grains it’s a bit trickier. Quinoa (which is actually a seed) for instance is fairly rich in protein (about 14% in volume), but it’s also a carb, so I’d make it a protein and carb column-spanning food. Most other grains like rice, oats, wheat, barley, and products made from their flours are in the carb category, even if they do have some protein content. If you’re not sure about other beans or grains, look them up on nutrition breakdown charts. Do remember though that the main objective of listing your favorite foods is to just have an idea of what you think would be good to pack for lunch. Don’t get too hung up on the nutritional classifications, just aim for a good balance.